It is probably safe to say that the vast majority of health care professionals believe that ICD-10 will finally be implemented on October 1, 2015. Most radiology practices have been preparing for the transition for some time, so this "news" is not really new nor is it particularly earthshattering. Unfortunately the same cannot necessarily be said for many referring providers. Depending upon the referring provider's size, location, and stage of ICD-10 preparedness, the "news" that the October 1 deadline is real may be creating some panic and concern, or, equally of note, creating no real sense of urgency or concern because they believe that their EMR is going to take care of everything and the transition will be virtually effortless for their practice. Either extreme should cause concern for any radiology practice and ensure appropriate preparation is taken to avoid problems in the ordering process. The challenge to helping referring providers get ready for ICD-10 is that the primary message cannot be, "If radiology doesn't get good clinical information on the order, radiology might not get paid for the provided services." That is not a compelling argument for referring providers. The argument for detailed clinical information must be driven by patient care and value to the referring providers. Before getting into specifics, a quick look at the overall environment is in order. The Department of Health and Human Services recently published a set of goals relating to the shifting of reimbursements from volume-based to value-based, including the moving of 30% of Medicare payments into alternative payment models by the end of 2016, and 50% by the end of 2018; and moving 85% of Medicare payments to a model tied to quality or value by 2016, and 90% by 2018.1 For any patient encounter, the CPT procedure code(s) determines how much a provider is paid, but it is the diagnosis code(s) that determines if the provider gets paid at all. Accurate diagnosis coding goes beyond assigning the code for the patient's condition. It is important to remember that ICD-10 does not require a change in how providers practice medicine or treat patients. Rather, it demands more accurate documentation and gives providers more diagnostic choices to capture new data to ensure they are paid for the complex work they perform. Referring providers are not necessarily asked to provide a higher volume of clinical documentation but rather more precise documentation (eg, laterality, specificity, and anatomic sites). Proper documentation can be facilitated through the effective use of EMR templates and prompts, and the data repurposed throughout the EMR to support the concept of "collect once, use many times," but this must be done with thoughtful purpose and care. How referring providers utilize their EMR will have a major impact on the detail and quality of the clinical information provided on radiological orders. Dropdown selection menus will probably be around for a few years, so it is important to ensure the selection options are set up appropriately and that the necessary clinical options are available to the selecting provider. It is easier for radiology to have a greater influence when all providers are part of the same health care system. This becomes more challenging in a community setting where all of the providers are part of separate legal entities. In this scenario, sharing data, sooner rather than later, becomes vital to making the necessary changes prior to the implementation of ICD-10. Do referring providers really know in what circumstances they are not providing sufficient information today, much less for ICD-10? Today's problems will be amplified in ICD-10. To alleviate some of this stress, referring providers can create a list of areas of concern so that they can be addressed in advance of October 1 and not when denials occur in mid-November. When providing feedback to referring providers, it is important to be as specific as possible and to provide friendly reminders about what is and is not allowed in terms of clinical documentation for orders. For example, while phrases such as "rule-out," "suspected," and "evaluate for" may be helpful to the referring provider, those phrases are not sufficient as standalone statements since a patient's signs and symptoms must be included on the order. Similarly, orders that only provide brief statements such as "trauma," "MVA" [motor vehicle accident], or "follow-up," with no real clinical data to support the ordered exam would not be useful. The essence of what is needed from the referring providers is details, details, and more details related to the patient's condition. Specifically, location, severity, context, and the story (for injuries) as it applies to a designated medical condition are needed. For location, the specific site, laterality, and what type of vessel (graft vs native) must be provided. For severity, is the condition acute, chronic, or both? Was the fracture traumatic or nontraumatic? And for myriad other conditions, have all the "with" situations and all the "without" situations been identified? For the context of a condition, whether it is a primary vs secondary condition must be known. Also, is the condition status post a surgical procedure or due to another of the patient's conditions? All injuries have a story and radiologists want to know what it is. How did it happen? Where did it happen? And if appropriate for the injury, why did it happen? This information not only facilitates correct diagnosis coding for the injury itself but also guides the correct selection of the seventh digit for the encounter type. Initially, it can sound like the referring provider is being asked for a lot more data, but in reality the details required for the radiology order are the same details required for the clinical assessment and patient progress note. Coders are only asking that the referring provider provide the information that they already know. To make the process more manageable, one may find it is easier to address the clinical issues in groups. It is impossible to provide a one-size-fits-all model but the accompanying table can be used to help guide coders through the process. There are two primary reasons why an unspecified diagnosis code may be submitted for a radiology service: Either the radiologist did not dictate a finding with enough specificity to assign a more specific code, or more likely, there was not a definitive finding on the exam and the provided signs and symptoms were unspecified (eg, breast cancer). To determine where opportunities to improve the quality of orders from referring providers may exist, it is sometimes very helpful to analyze the last six or 12 months of submitted claims data to determine if the use of unspecified codes is because of a radiologist documentation issue or an order issue. If the radiology report did not provide enough detail to allow for assignment of a specified diagnosis code, then it is a radiologist documentation issue. If there was not a definitive finding and the signs/symptoms had to be utilized for the primary diagnosis code assignment, which referring providers/groups stand out as the biggest areas of concern? Another useful method to determine where opportunities to work with a referring provider to improve the ordering process may exist is by analyzing medical necessity denials. Conducting a review of current medical necessity denials will potentially offer a sneak peek into areas of concern once following ICD-10 implementation. For those concerned about getting things paid today, that will only be amplified when ICD-10 arrives. Identify which payers have the highest volume of medical necessity denials and review the radiology reports to determine if the denial is the result of insufficient documentation in the report, use of an incorrect or unspecified code, or lack of sufficient clinical information on the order. Analyzing this information by radiologist, and referring provider/practice may also provide some useful insights to help you identify your target areas of concern. 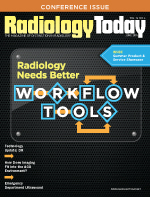 The implementation of ICD-10 lays the groundwork for the next big change for radiology. Clinical decision support for ordering imaging exams will officially be implemented on January 1, 2017, for all higher modality services (eg, CT, MRI) paid for by the Centers for Medicare & Medicaid Services (CMS). While the details have not been finalized, we do know that the focus is for referring providers to utilize CMS-approved appropriateness criteria to ensure the right study is ordered for the patient based on their signs and symptoms. Orders and medical necessity will continue to be key in patient care and, ultimately, in appropriate reimbursement. It is well worth the investment of time and resources to work with referring providers to identify and minimize the potential disruptions that might occur when ICD-10 is implemented October 1. 1. Better, smarter, healthier: in historic announcement, HHS sets clear goals and timeline for shifting Medicare reimbursements from volume to value. US Department of Health and Human Services website. http://www.hhs.gov/news/press/2015pres/01/20150126a.html. Updated January 26, 2015.